If you are new to Linux and want to learn it, you should follow good tutorials. If you are not sure where to find good Linux Tutorials, I am here to help you. In this article, I am listing free Linux training courses. These Linux training courses start teaching from basic with an introduction to Linux and few also help you in getting the advanced knowledge to build your career with Linux. As the courses are free, you can go one by one and start learning Linux. This is the free online source designed by The Linux Foundation. So, you can consider it as official Linux training course This course covers everything from basics and is designed for those who have no working knowledge of Linux. It navigates through major Linux distributions, tell you about system configurations and basic Linux commands. You will also be learning most common applications of Linux. The course is of 8 weeks in length. You do not have to pay to enroll. This is another free online Linux course created by networking giant Cisco. Like the previous course in the list, this is also for those who want to learn from basics. TO take this course, you do not need to have any prior knowledge of Linux. 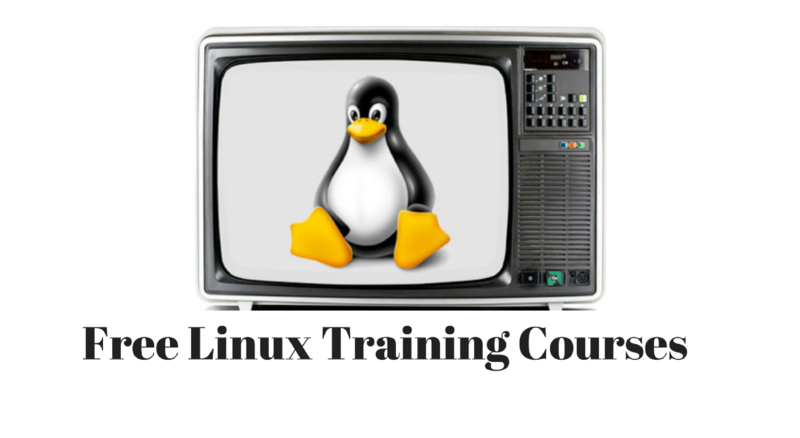 The course teaches basic Linux commands and tells you how to use a Linux virtual machine. It claims to teach you basics of Linux in just 9 hours of self-paced learning. Learnerstv offers a very basic course on Linux and it s for those who have no working idea of Linux. This course covers introduction, installation, basic tasks, vim, navigation, user groups, permissions, network configuration and few more things. These videos are less than 8 hours in total length and teach a lot about Linux Basics. This Linux course is also from the Cisco and is a step ahead of the previous course. Once you have taken the previous course, you can start learning Linux with “Linux Essential” video course. This course requires you to have the fundamental knowledge of Linux command line. It teaches you the entry-level open source concepts, enhances your understanding of Linux commands and tells you how to use a Linux virtual machine. This detailed course runs for around 70 hours and needs your efforts to learn everything properly. This is another course by Linux Foundation and focuses on teaching DevOps activities. If you are not sure what is DevOps, it is similar to SysAdmin role but not exactly same. To take this course, you must have basic knowledge of Linux. In this course, you will learn the foundations, principles, and practices of DevOps. You will learn how to understand, analyze, and map value streams, create problem-solving structure and more. This course if 40 hours long and good to take if you are thinking to build a career in DevOps. These are several courses available and I could list more. But I focused on adding those courses which are covering everything from basics and help you in building Linux foundation to achieve bigger goals. If you know any good course that should be in this list, you can comment below to notify us or send us the email.